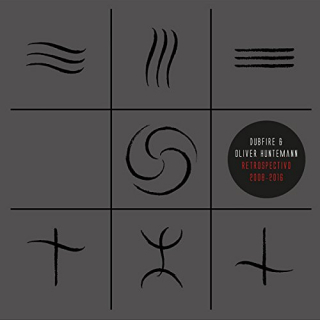 Dubfire & Oliver Huntemann - Retrospectivo 2008 - 2016 - Track? !D. 'Retrospectivo' contains each of their original releases, com- plemented by a host of exceptional remixes from other key figures in the scene. The CDs were preceded by warmly welcomed new reissues of Terra and Fuego, stretching out over a luxurious 2+ hours of prime techno. 'Diablo' kicks things off, sounding as fresh as the day it was unleashed in 2008, and is accompanied by the Carlo Lio remix that pushes its muscular driving vibe into a new territory. Dios also appears with the rework from Jon Gaiser, via his Atheists Anonymous Remix, crystallizing the original’s 10 minute form into a taut, powerful six minutes of dance floor gold. The new track 'Humano' appears here in four glorious versions from the original via newer interpretations from Hatzler, SHADED’s Summer Skin Remix and the Victor Ruiz mix. Kicking off CD2, 'Fuego' burns as brightly as ever with additional heat added by Julian Jeweil’s masterful remix, while 'Terra' gets the treatment by the ever dependable Joseph Capriati. Three different mixes each of 'Aire' and 'Agua' complete the package, with the combined talents of Matador, Peter Dundov and Detroit’s own Carl Craig rounding off the compilation in particu- larly fine style. Both Dubfire and Oliver Huntemann have pursued their own paths that have seen them reach dizzying heights within the techno world, but these recordings and their expertly curated reworks will remain a benchmark for many. As a special bonus, both the digital version and the Double-CD (via a download code) include an hour-long 'Retrospectivo'-mix by Dubfire & Oliver Huntemann.